We have had a couple pretty great dinners since we started this tradition. The most memorable had to be when it was disguised as a business dinner. An odd combination for sure. I got a phone call from my husband asking if I wanted to go out to dinner the next night as he had some colleagues in from out of town. While it seemed fun, I realized that the next day was Shrove Tuesday and there was no way I wanted to sit in some stuffy restaurant. Next thing I knew there was a business dinner about to happen in my dining room. As I ran around the next morning purchasing some “gourmet” pancake supplies I bumped into the two visitors. “I can’t wait for pancakes tonight. I hope I get money in mine!” said the one. “Huh?” thought I. Studying or not, I will be eating pancakes for dinner today. I haven’t decided what kind. I love them all. Savoury, potato, vegetable or sweet, they are all delicious. I won’t go overboard but, to me, pancake day isn’t about watching what you eat. It’s about great ingredients cooked in a way that make you feel like a big kid. Eat a salad for lunch and do an extra set (or two) at the gym, do what you need to do, but top that stack of pancakes with your favourite topping and enjoy them with beautiful farm fresh sausage or bacon. Just in case you aren’t a pancake connoisseur be assured that they are pretty hard to mess up. There are probably millions of recipes out there, but here is my most basic of basic for a traditional breakfast style pancake. You can play with the flours, add spices or fruit, whatever suits your fancy. I do recommend using the highest quality organic ingredients you can find. Mix all of your dry ingredients together then gently whisk in your wet ingredients. If you are mixing in fruit, chocolate chips or any other deliciousness add it now. Very lightly grease/butter a skillet and put on the stove to get hot. 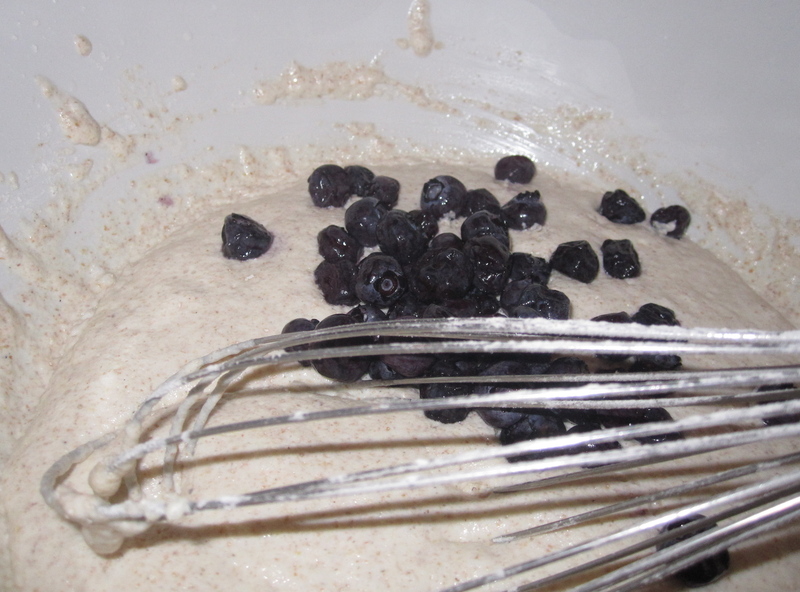 Pour batter to form pancakes of whatever size and shape you like. Cook first side until bubbles form on top and start to pop, about three minutes; then flip and cook other side until it, too, is brown, about two minutes. Topping Options: a sprinkle of white sugar and a squeeze of lemon; lemon curd; warm strawberry jam; a mix of fresh berries; sauteed apples; and of course butter and pure Canadian maple syrup. If you want to branch out from the traditional, I was happy to see that Jamie Oliver posted a link to some fabulous pancake ideas (great minds think alike!). You can find them here. As well, if you are legitimately avoiding gluten, never fear, you can easily sub in your favourite gluten free flours. Need a bit more guidance? There is a great link to a lot of other links for a variety of gluten free pancakes on the amazing website Gluten Free Girl and the Chef. Click here to find them. However you enjoy them, sweet or savoury, I hope they are delicious. A hint? They taste even better when you are wearing your pajama’s. Happy Pancake Day! This entry was posted in Breakfast, Cooking, Food, Friends, Fruit, Holidays, Preserves, Recipe, Uncategorized and tagged apple, blueberry, lemon, maple syrup, Newfoundland, pancakes, Shrove tuesday, tradition by mostlynoodles. Bookmark the permalink. As soon as I read the words ‘Shrove Tuesday’ at the beginning of the post, my mind went to the church basement, eating pancakes, and running and sliding on the floors with friends! Thanks for the memory. Enjoy your pancakes!